In an announcement on Friday, the court also rejected the applications from seven parties and five election candidates. The court had received a total of 24 applications, from 19 parties and five coalitions, to contest the elections on 20 September. The list of unapproved parties contains no surprises and includes the royalist National Hope as well as the Hellenic Direct Democracy Movement, which had sought to run as the Greek Antimemorandum Front (EAM). Also excluded is the Independent Innovative Left, Renewed Right, Renewed PASOK, Renewed New Democracy, No to War, Party of Business ‘I Give Away Land, I Give Away Debts, I Save Lives,’ Panagriarian Workers Movement of Greece (PAEKE) party, which took one vote in the last general election in January. 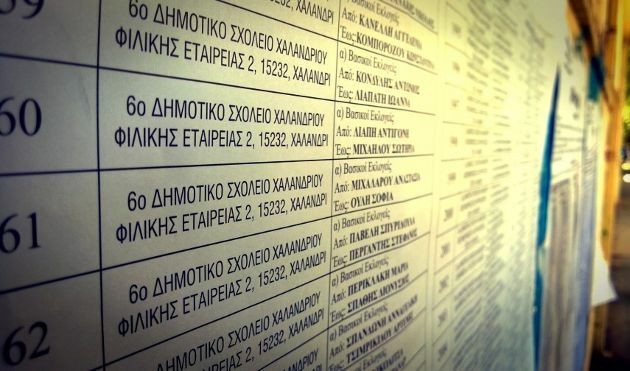 In addition, the application from another coalition, AKKEL-LEFKO, make up of the Agricultural Breeders Party of Greece (AKKEL), the Popular Unions of Bipartisan Social Groups (LEFKO) and Burning-Hot Greece was rejected as it was received after the deadline. Burning-Hot Greece contested the January election with Independent Greeks and had one of its members, Kostas Zouraris, returned as an MP.